안채·사랑채·광채·문간채·일각대문·사당으로 구성되었다. 안채를 포함하여 모두 20세기 초 이후에 지어진 건물이며, 광채만 18세기 정도로 추정할 수 있는 아주 특이한 건물이다. 광채는 목조 초가지붕집으로 오른쪽의 한 칸만을 외부로 개방하여 헛간으로 쓰고 있을 뿐, 나머지 3칸은 판자벽을 두르고 마루를 깔아서 광으로 쓰고 있다. 이와 같은 건축수법과 구성은 대단히 오래된 기법이다. 안채는 광채의 왼쪽에 남북으로 위치하며, 뒤편 동산의 숲과 잘 이루어져 운치가 있다. 왼쪽부터 건넌방·대청·안방·부엌이 배열되었다. 사당은 부엌 오른쪽에 자리했다. 사랑채는 안채의 맞은편에 위치했는데 사랑방 2칸·부엌·부엌방으로 되어있다. 사랑방의 뒷벽은 처마 밑으로 내밀어져 벽장으로 사용된다. 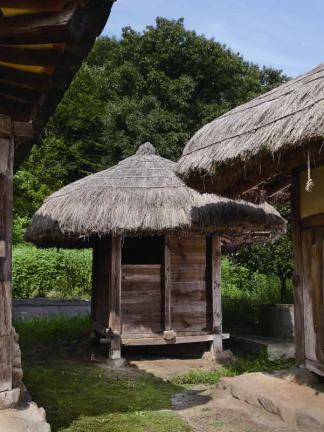 This house consists of the anchae (women’s quarters), sarangchae (men’s quarters), gwangchae (storage building), munganchae (gate quarters), two-pillar front gate, and shrine. 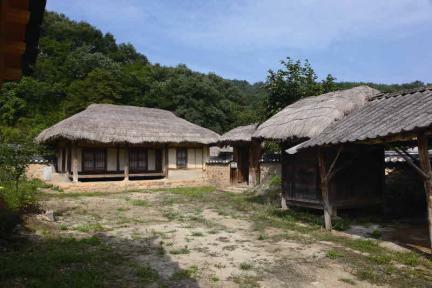 All structures except the gwangchae were built after the early 20th century. 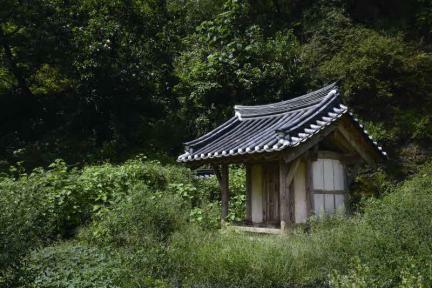 The gwangchae is presumed to have been built in the 18th century. 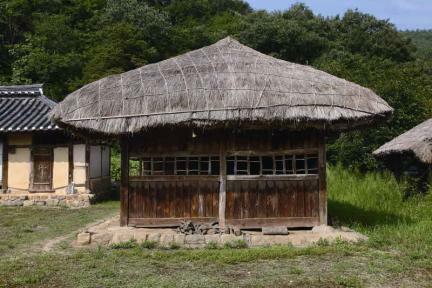 The gwangchae is a wooden building with a straw-thatched roof. Only one side on the right is open outside and was used as a barn. 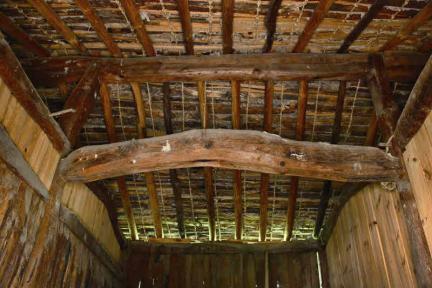 The remaining three sides are enclosed with plank walls and floored with wood and were used as storage space. As such, the architectural techniques and composition used in constructing this house are quite traditional. The anchae is on the left of the gwangchae; it is situated in the north-south direction and is well-matched with trees on the back hill, creating an elegant ambience. 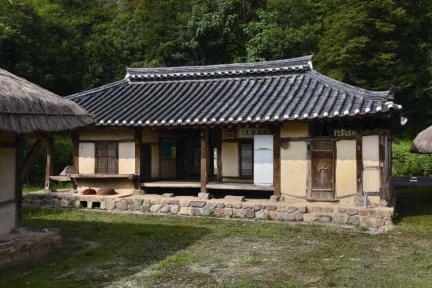 It consists of a room, the daecheong (main wooden floor), the anbang (main room), and a kitchen arranged from the left. A shrine is situated on the right side of the kitchen. 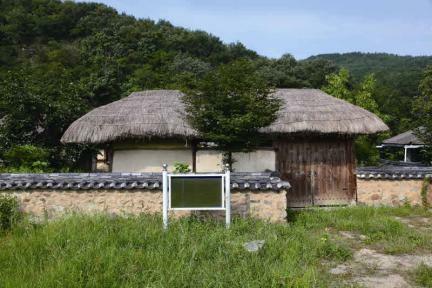 The sarangchae is located across from the anchae and composed of two sarangbang (living room for the master of the house), a kitchen, and a kitchen maid’s room. The protruding back wall of the sarangbang is used as a closet. ※ Viewing of the cultural property above is usually available anytime but may be limited depending on the owner’s personal circumstances.